Visitors to Al Kasar commercial center have always been able to access some free wifi provided by individual establishments. The plan was always to enable connectivity for everyone but in reality users found the system disjointed and probably not as seamless as we would like. 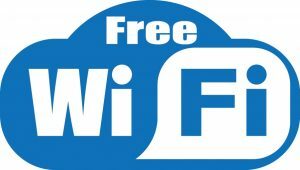 This is set to change with the announcement recently that wifi services have been upgraded throughout Al Kasar and that a single network name and password will be used to get connected. To get connected, use the following network and password.